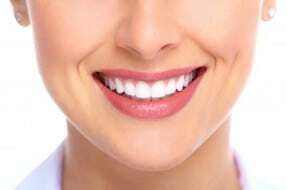 A blog discussing the benefits of healthy eating to maintain a healthy smile. As its National Smile month I thought it would be a good idea to write about what food to eat to help maintain that important healthy smile. •Brush your teeth last thing at night and on at least one other occasion with fluoride toothpaste. •Cut down on how often you have sugary foods and drinks. •Visit your dentist regularly, as often as they recommend. In a world where sugary treats and unhealthy snacks are becoming increasingly popular, our diets and tooth hygiene are starting to suffer. So what are the best foods to eat for a healthy smile and what should we be avoiding? Working in the dental negligence team we see many cases of tooth decay and the saddest of those are in young children who have been allowed to consume a high amount of fizzy drinks and sweets. So how much sugar should we be having? WHO, the World Health Organisation, recommend in a publication released in March 2015, titled ‘Sugar intake for adults and children’ that the intake of free sugars should be less than 10% of total energy intake. In a diet of 2000 calories per day, that is less than 200 calories. WHO further endorse that we should be aiming to be reducing our sugar intake to 5% of our total energy intake, reducing to an amount of 100 calories of sugar in a 2000 calorie diet. To put things in perspective: A can of coke of coke contains 35 grams of sugar, if we follow the WHO guidelines of 5% sugar intake per day, this equates to a 25 gram allowance. Therefore drinking just one can of coke will exceed your allowance by 10 grams. Even more shocking is that in a 42.5g serving of raisins, 120 calories come from sugar which is 30 grams, again exceeding the 5%. Of great concern is the role free sugars play in the development of dental diseases, particularly dental caries. Each time the bacteria in your mouth comes in contact with sugar, acid is produced, which attacks the teeth for 20 minutes or more. Eventually, this process causes a cavity. Sucking on a lollypop or other sugary treats can be especially bad for the teeth because it exposes them to sugar for a long time. Sports drinks: Sports and energy drinks are very acidic and too many are damaging to your teeth. In a 2008 study, measuring enamel wear after steeping teeth in several different beverages for 25 hours. Lemon-lime Gatorade resulted in the most wear, followed by Red Bull, Coke, and Diet Coke . Red Wine and Coffee, i.e anything that will get you in trouble if you spill it on something white, will also stain your teeth. Drinks such a red wine contain substances called chromogens that produce tooth-discolouring pigments. Even white wine can contribute to staining. Red and white wine both contain erosive acid, allowing stains from other foods or drinks to penetrate more deeply. Cheese lovers; cheese and other dairy products are the main dietary source of calcium, which is essential for healthy teeth. Calcium is the key ingredient in a mineral, known as hydroxyapatite, which strengthens tooth enamel and bones. Cheese also contains casein, a type of protein which plays a very important role in repairing tooth enamel. Leafy vegetables and other high-fibre foods promote good digestion and healthy cholesterol levels, and they also do wonders for your teeth—mostly because they require a lot of chewing. Eating a bowl of spinach is like running your teeth through a car wash: chewing this type of food generates saliva which is essential in regulating the growth of plaque on your teeth. Strawberries contain a malic acid which acts as a natural enamel whitener. A good excuse to fill your pimms glass with lots of strawberries this summer. There are no excuses now not to maintain that healthy looking smile. University of Iowa, Acidic beverages increase the risk of in vitro tooth erosion.